One of the most important things to me is being able to help others through the nightmare of losing a child. I’ve realized through my own journey that I found help/support from multiple different resources and people. I want to create as many valuable resources as possible to help others along, so bear with me on this wordy post. As mentioned about, I’ve found help in many places once I was open to receiving it. One of the unexpected resources happened about 9 months after losing my son Noah. I was looking to hire someone that could help me with branding/marketing a new small business I was thinking about launching. The new business idea was a distraction and something I very much welcomed. However, I was still overwhelmed with the pain and when it came right down to it, I didn’t have the energy to even implement a business (or even care about it for that matter), but I still went through the motions of distraction. I met a new business associate for coffee. We discussed what she could do for my business until the conversation changed to my recent losses and the difficult time I was having. As the conversation went on, she suggested that I attend an upcoming weekend retreat for men at her church. I was a little taken off guard and I told her I would think about it, which was my way of saying “no thanks.” A few days later one of the leaders from that group called me and invited me to the retreat. Again, I said, “I’m not sure it’s for me.” He kept bugging me and finally I said I would attend. I envisioned a bunch of guys sitting around all weekend reading the bible, but I thought if it would help me as much as the lady said it would, I should go. Nothing else seemed to be helping me, so what do I have to lose other than my time. I won’t get into the details of the weekend, but there were about 30 others guys, each one with their own struggles and nervous about what this weekend was going to be about. I met a fellow grieving dad at this event and he was one of the key people to help me through my pain. In fact, I had dinner once a month with him for a couple of years. When I told him about my book idea he encouraged me to not only write it, but he also donated his credit card points to fund my airfare so I could conduct face-to-face interviews with other grieving dads around the United States. Although I don’t see him as much as I use to, he is still a dear friend of mine to this day and someone I would not have met if it were not for my conversation with a stranger over coffee. I know that was a long story to get to the point of this blog post. In fact, I thought about deleting everything above since it’s a long story to get to what I wanted this blog post to be about. Many of you that have followed me over the years know that my rambling often goes off on a tangent. Now back to the title, “Help Wanted”. Since my book was published in 2012 (wow, its already been 4.5 years) and even before that, I envisioned a time that I would actually conduct a weekend retreat for grieving dads. A weekend that would have me (and others) leading discussions and small groups about our experiences. It would include a cross-section of people and experiences at various stages of this journey. I’ve always believed that there is healing in being around others that have been through the same thing. We would also spend one of the days (or ½ days) leading various activities outside (hiking, biking, golfing, fishing, etc.) as a way to spend time with others that “get it.” Who wants to sit inside a hotel conference room for 2 days anyway? Not me. But I do find peace in being around others that understand. Is there anyone reading this blog post that has the experience (and desire) to lead and implement a Grieving Dads Retreat Weekend? I am confident that the time spent will be valuable to all of the guys that would attend the retreat. I am also confident that it will be a healing experience for whoever leads this event because you will be making a difference. It will provide you hope just like this blog and writing my book has helped me. I was thinking a good location would be Colorado since its somewhat centralized between coasts and it allows for many of the outdoor activities for breakout sessions, but I am open to location. It’s just an idea as of right now, but if you have an interest in playing a part in helping others, I would love to speak with you. In addition to the weekend retreat, I have been exploring the idea of leading a Podcast, but I have no idea how to even start one. I think many grieving dads would find a value in having this as a resource to them in addition to my book. If you know anything about Podcasts and how to create them and have the desire to help me, I would also like to speak with you. I am looking forward to hearing back from everyone that has an interest. If I don’t hear from anyone I’ll just assume that the need/desire for these resources are greatly exaggerated in my head. In all honesty, that wouldn’t be the first time. If you decide on Colorado at some point, I live in Colorado Springs, but can help anywhere in the state if need be and provide some input. Good luck. Just came across your request for help. I’m in Australia so can’t help with the retreat but would love to talk more about the podcast. I’ve been looking to start one for my business, have attended two conferences recently and understand all the logistics stuff. I have been thinking about starting ab personal podcast my journey since we lost our 23 yo son Andrew on 29 May 2012 to help support others. Hi Kym. Thanks for reaching out to me. Although you are in Australia, maybe someday I’ll make it there and THEN you can help me with a retreat. I would love to make my way there since I’ve heard from a lot of grieving dads from there. As far as the Podcast goes, I would love to speak with you about it. I am VERY new to the idea of Podcasts. I was recently asked by a marketing person if I did them to help get the word out on my book. I said he thought it would be well received if I set something up on a weekly basis. I know some guys don’t have it in them to read my book, but if I can find a way to give them small doses of the stories I’ve heard along with my own journey and lessons learned, maybe I can reach them. I would love your help and insight on the idea of what I would like to accomplish with this new way to reach grieving parents. Very much looking forward to discussing this with you. It has been a year and 13 days for my wife and I. I love this idea to have a meet up, we go to a local group but as others said it is a lot of the same people and sometimes it can be refreshing to meet others who also understand. I have had experience leading outdoor adventures (but none in such struggles as these) in the past. And I know a little about Colorado but not to much. Also it seems like you are planning on possibly doing more regional aspects first which may be a good idea to start with. I am in New Jersey and would love to assist an event either regionally or nationally. My wife and I have started to maintain a part of the Appalachian Trail (in NJ) in our daughters name and done several other things to help us through this tough time. I just finished reading your book and am truly inspired by all you have done for other grieving dads! Even though I agree more with the setting of outdoors one suggestion that I would like to say is that it may not be everyones cup of tea, and maybe it would be good to have each of the types of activities so those who are not as outdoorsy can also benefit from your work/compassion. But I do strongly believe that nature is a wonderful thing that can help relax your soul. Hey Kelly, An excellent idea and I think regional retreats would be a good way to start and then perhaps a national retreat down the road. We (my wife and me) periodically attend Compassionate Friends and other groups but found them lacking after a while. Same faces, same stories and, what I call, professional mourners-those whose children died 30-40 years ago. Call me callous but my 17 y.o daughter died from leukemia 4 years ago (the chemo actually killed her) so I can’t relate to the “pros”. I have been in the hotel business for 30 years and am now a travel agent so I know how to put together groups. My sister is an event planner so between the 2 of us, we could put together a nice package. My suggestion for a regional meet would be Maryland’s idyllic Eastern Shore. Many perfect retreat locales and centrally located in the mid Atlantic allowing easy driving access to many. Since Sarah is gone, we have no more familial responsibilities so we are going to try snowbirding in FL for the first time (Jan-Mar). This would be an excellent project to tackle when I return with an eye for a summer/fall retreat 2017. Yours and others thoughts? I can vouch for the beauty of the Maryland coast. Lived in Northern VA for almost 20 years and consider the Chesapeake Bay Region to be a real national treasure…Got to go fishing for stripers in the bay off of Annapolis once…beautiful. You can count me in no matter where this particular event is held. Thanks for your input and I’ll keep you posted as things proceed. HI Dan, I too lost my daughter to ALL (chemo as well) at the age of 10, 5 1/2 yrs ago. Still so hard to believe. When I hear a similar story to ours I am always interested to hear more. This is a great site that I wish my husband would take an interest in. It is very helpful even to us moms. Hi Kelly. Great to hear that the moms also find value here. Peace Kelly. Hi Kelly, Dana et al; As I write this-, the after Thanksgiving xmas shows are on the tv in the living room (11/30) Oh pleeez… Anyone interested in contacting me may do so to set up a planning committee for next spring on the Eastern Shore -dandeb134@comcast.net or 410-562-1539. Inn at Perry Cabin, Tidewater Inn or Robert Morris Inn are all exquisite, but expensive. We could work on budgets at a later date. Hi Dan. They all look like great locations for a retreat. Beautiful. I really like Inn at Perry Cabin. I will reach out to you this week and maybe we can start the ball rolling on at least setting a date and venue with pricing. I am working with a couple of other grieving dads on format of event and I am putting more thought into length of event and my overall content. Very much looking forward to working with you Dan and creating something that will be a template for many more to come. The impact on other grieving dads will be awesome. There is healing in being around others that are hurting. Thanks for your note. Inn at Perry Cabin is about the nicest on the shore. As you may recall, I’m shoving off for Florida for 3 months shortly but will still be able to communicate/plan things. Have also been corresponding with Mick Honan in Atlanta and he is willing to pitch in and attend. Dan – Fully aware of you departure to Florida and am jealous. I am sitting in my office looking at the 6 of snow we received yesterday and wishing I was going with you. Do you prefer that I hold off until you get settled into your place in Florida before we start discussing logistics? No worries here. I think we have time if we are talking next Fall. Great to hear the Mick has reached out to you, we could use all of the help we can get. Probably the best bet. I’ll reach out when we arrive in January. Where are you located with that much snow already? Thank you for reaching out and offering to help with this task. Its sounds like you are the right guy for the job based on your background and connections. I am with you on the professional mourners at TCF. Its not for me, but they do great work for those that it does work for. I love the regional location of Maryland’s Eastern Shore. I do not know much about it, but I trust you. And I agree, it does provide a centralized location to major metropolitan/population areas. I am willing to set this location and event as the first “retreat location” and model for what it is we wish to do at this event. I still have a lot of work to do as far as what the event would look like from a structured/format standpoint. I will be asking others what topics or formatting that they would like to see to make sure it is an effective use of everyone’s committed time to being there. When you get a moment, can you reach out to me and we can discuss in a little more detail? Good for you on snowbirding in FL this year. Sounds like an excellent idea! Very much looking forward to working with you and actually making this idea become a reality. I think we can develop a model that I can take on the road to the many places that need it. Wishing you a Happy Thanksgiving my friend. It sounds like you have a lot of valuable experience…We need a lot more guys to respond to this and add some shape to this thing…it seems far from being a plan, but it could be good for all of us. If a plan does take shape, can we call on you to bring your experience to the table? Right now, the geographical location seems to be a concern…Vermont…Colorado…those are a few places, among others, we would consider. It almost certainly will require that we render some kind of financial aid to those in need…Where there is a will, there is a way. I’m looking for input from everybody…so far it’s been all positive…we need more feedback. I’m game to attend. I’ll have to echo what several others have said. It’s somewhat comforting to be around others who ‘know’. Honestly, I have no idea what all it would take to set something like this up, but I’m willing to help out. Hey Kevin. Thanks for your interest and willingness to help. I have not idea what it takes either, but I will continue to work on it. Im a wife and I this this is a terrific idea on so many levels i will forward this to my 2 groups I’m in! Hi Nancy. Great to hear they you like the idea. Thank you for sharing it with your groups. Thanks for all of the feedback! I would also consider doing several smaller regional retreats that will allow more guys to attend without a lot of travel. I live in Canada but it’s a big geographic area. Willing to drive if it’s not more than 1 day drive so about 10 hours is my max. I’m situated about between Thunder Bay & Toronto with TB about a 12 hour drive & Toronto a 6 hour drive. Vermont would be possible depending on season but winter driving is not good for me. Keep me posted on any smaller regional retreats as I certainly would like to attend. Hi Dan. I will keep everyone posted. Its starting to sound like regional meetings may work better for many. I need to spend some time thinking about how I would make this work. Although I am not in the US, I found the biggest issue was finding others who I could identify with. When my son was taken it became very apparent, very quickly, that the grief services afforded by both the health service (none whatsoever) and by charities in the UK were all focused at SIDS / Cot Death. I could not find any that could relate to what I went through. Selfishly I would avoid opening up to any as they could never understand my version of loss… (time has now taught me that different..). We all walk our own paths and are part or the worst club in the world… and we want to find those who ‘understand’… I have avoided those ‘taught’ to understand, because, in all fairness, they don’t. Unless you’ve walking in my / our shoes no qualification or course can provide any level or appreciation of our constant waking nightmare that losing a child brings. Good luck gents. I hope you’re able to all get together and find much needed strength when there is none left. One day I will travel across the pond and join you. Emslie – Thanks for your comment. This experience has also taught me to not judge others. Its important to walk in other peoples shoes in order to truly understand what they are dealing with. It is important to surround yourself with others who understand. I would be more than willing to conduct a retreat in the UK as well if you think we could get the numbers (25+) of grieving dads to attend. You have any interest in organizing such an event over there? I erred when I identified a hotel in Midtown Denver. It’s a Ramada (Midtown Denver) which is as close to downtown Denver as you can get without paying more than $100/night…In fact they have group rates for groups of 10 or more, and they have meeting and banquet facilities. I’ve stayed there and can vouch for it. The Air Force Academy is about a half hour down the road, and sometimes you can watch cadets practicing flying gliders…it’s pretty cool. I think this is a great idea I would surely attend the event. I can imagine that it would be beneficial to connect with other dads. Don’t have any experience in organizing events but would be happy to help in some other way if I can. I know some of us live far from Colorado…I’m in Vermont. 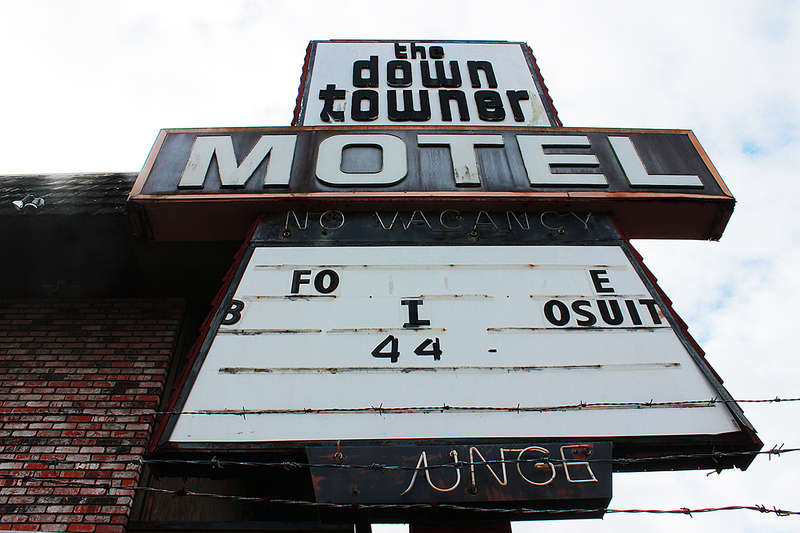 I think we would stand a good chance of finding super accommodations in Colorado…Denver, especially. I think I can try to get us all into a Midtown Denver Marriot for a reasonable price…just a stone’s throw from downtown. Denver is a great city…for sports, arts, culture, and food. God be with us all. Hi Dana. I agree Colorado is a long haul for many. I would consider doing a retreat in/near Vermont if you think we can get a group of guys to show up. I have found 20+ people works best so there is a good discussion. Let me know if you have any interest in organizing such an event. Your comment makes me rethink the approach. I believe having several retreats nationally and in Canada might be more effective and maybe we’ll get more guys to show up. I finally have healthcare here in Vermont and will soon be seeing a therapist within the UVM health system. I’ll start reaching out to the community through that conduit. I’m in South Burlington/Shelburne…There are fresh wounds here from a recent tragedy in Williston…I would be willing to do some field work in finding suitable venues…If you give me some ideas I can get a better feel of what to look for. This absolutely is a good idea…I’ll do what I can do. Dana – Great to hear you will be able to spend time with a counselor soon. I believe this is important. Also, try spending time in support groups. Many of my dear friends are other grieving parents that I met early on. We understand each others pain and the relationships seem to be more authentic. I would be interested in attending. I don’t possess much in the way of organizational skills, but I have some experience in fly fishing, fly tying and some in teaching both. vtwinsideways – I just started fly fishing this year. I can see it being a long term hobby of mine. I find it therapeutic and relaxing. I would love to go fly fishing you some time. You located Colorado? I would absolutely attend this event and am happy to help organize it if we get the numbers. Also think it is a good idea. I would like to attend if it is closer than Colorado. Don’t know much about detail planning either but on the surface, I think this would be very helpful to people who attend. Best wishes in finding collaborators to pull this off! I think it’s a great idea. I would for sure attend. I think it’s something that would truly help. It’s been 6 months for me, and I’m deeply depressed. I think I would have to push myself to attend, but I’m sure I would do it. For my own good. My son would want that. I can’t organize a retreat, but I think it’s a really good idea.